Without any doubt, WhatsApp is the most popular messaging service if not the best. The Facebook-owned social media titan has over a billion monthly active users currently, dealing with over 42 billion messages and 250 million videos on a daily basis. Facebook always strives to give you the best chatting experience in every WhatsApp update it releases. In fact, the chat service is one of the most updated apps on the Google Play Store. The app has already witnessed a lot of functionality improvements and the addition of new features this year alone. The launch of the desktop version for Windows and Mac is one of the major inclusions so far. The desktop version will now support Windows 8 and windows 10, as well as Mac OS 10.9 and higher. The next update is speculated to feature two most awaited features: support for GIFs and video calling feature. WhatsApp has done everything right, except GIF integration. The current trend of messaging apps has seen a rise of interest in GIFs (several messaging apps supports GIF) which for a long time has been a realm for memes and websites. Twitter, for instance, added the functionality this year in February which enables users to share over 100 million GIFs expressing their feelings. However, that could soon end as WhatsApp is supposedly planning to allow users send, receive and play GIFs from within the app on its next iOS version (2.16.7.1), according to @WABetaInfo, which keeps track on WhatsApp beta releases. Facebook introduced a full-fledged support for GIF search on Messenger last year which spared users the burden of opening their browsers to view GIF files. Conversely, WhatsApp will reportedly get a stripped version of the feature. WhatsApp will be able to autoplay GIF links and directly embed them into individual and group chats. WhatsApp update rumors come at a time when Google has launched an app that will enable iOS users to create GIFs from a collection of photos. Google’s app automatically turns captured live photos into short video clips or GIFs. WhatsApp has been successful on almost all its platforms which include Android, iPhone, Windows Phone, and desktop. The application’s fans have waited with a lot of frustrations and enthusiasm the arrival of video calling functionality for over 6 months since screenshots leaked showing WhatsApp was up to rival the likes of Microsoft’s Skype, Apple-owned FaceTime and Snapchat. It’s now rumored the popular chat app is on the verge of rolling out the anticipated feature. The app’s next update might include the video calling ability, making WhatsApp become the latest chat platform to embrace the functionality. The feature was apparently included in an update released for test users, but it was functionless. Instead of starting a video call, users were directed to audio calls. However, latest reports say some beta testers were able to see two options for video and audio calls this week implying the feature is soon rolling out to everyone. The recent beta update, however, removed the feature, but we expect it back in the next update this time round working. 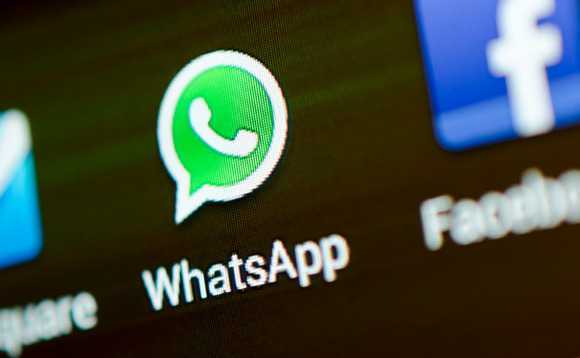 The release of a video calling feature on WhatsApp will be a great relief to the app’s diehards who had to bear with just VoIP calls when users on other platforms enjoyed the celebrated feature including its sister app, Facebook Messenger. Leaked screenshots also pointed a possible roll out of a new voicemail service across WhatsApp for iOS and Android apps. With the instant chat app supporting VoIP calls, adding a built-in voicemail system seems the obvious next step. WhatsApp voicemail will allegedly allow users record and listen to a message before sending it, unlike traditional voicemail that never gave you a chance to revisit your recording before sending. Facebook could also be lining instant call back functionality for WhatsApp in the upcoming updates. This feature, alongside voicemail, could see WhatsApp replace the popular Android dialer and text message app. The feature appears as a notification at the top of the screen, according to those who have seen the early versions of the update. A tap on the notification returns the call immediately.